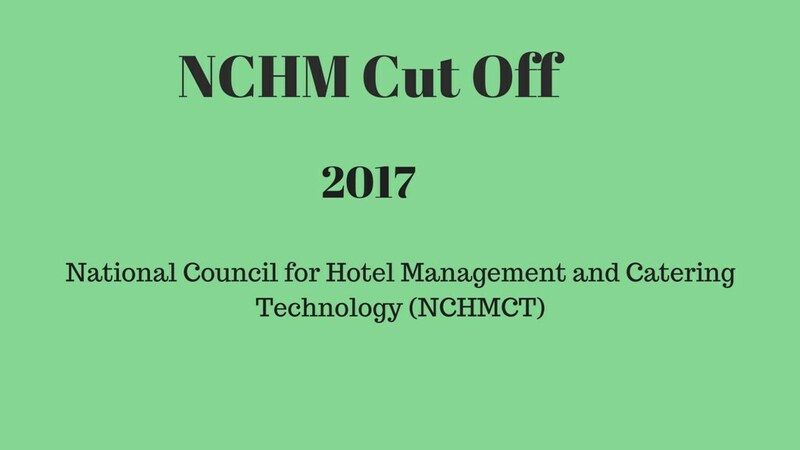 National Council for Hotel Management and Catering Technology (NCHMCT) will declare the cutoff of NCHM JEE 2018 in May. NCHM JEE 2018 cutoff will be finalized by the council based on the minimum qualifying marks as well as ranks obtained by candidates in the entrance exam. The starting and ending ranks after NCHM JEE 2018 for various categories will also be announced by NCHMCT for all the participating colleges that will be accepting scores of the national level hotel management entrance test. Candidates can go through previous years’ NCHM JEE cutoff on this page. The cutoff of NCHMCT JEE 2018 will also show the trends of closing ranks for the institutes offering admissions based on candidates’ performance in the entrance test. NCHMCT JEE Opening and Closing Ranks will be given here. Candidates will be able to check NCHM Cut Off round wise below. NCHMCT JEE Opening and Closing Ranks is given here. Candidates can check NCHM Cut Off round wise below.